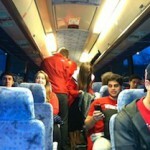 The last time LaMar "Soup" Campbell sat in a University of Wisconsin–Madison classroom, Bill Clinton was president. 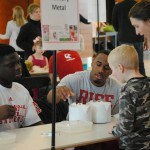 Melvin Gordon had just turned 5 years old. The battle for Paul Bunyan’s Axe ended in victory for Wisconsin as the Badger football team defeated Minnesota, 34-24 Saturday night at Camp Randall Stadium. 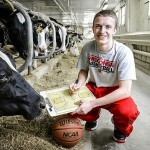 On Nov. 29, the Wisconsin Badgers and the Minnesota Golden Gophers will battle for Paul Bunyan’s Axe. 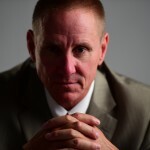 Even as the two teams clash on the gridiron, they will collaborate on a joint effort to axe epilepsy. 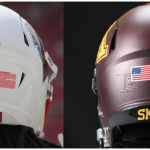 To show support for Minnesota coach Jerry Kill and the one in 26 people who will develop epilepsy in their lifetime, Badger and Gopher players will mark epilepsy awareness month by wearing purple stickers on their helmets. Fans are encouraged to wear both their team colors and something purple. 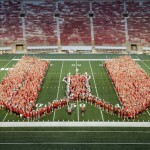 More than a thousand students gather in the stands and learn traditional "fifth quarter" songs before flowing onto the football field at Camp Randall Stadium at the University of Wisconsin–Madison to form the shape of the letter "W" as part of the W Project on Sept. 4, 2014. It’s that time of year — Badger Football returns to Camp Randall Stadium! 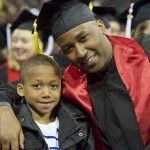 The UW–Madison Police Department is excited about another successful, safe year. While there’s a break in action during the Wisconsin-LSU football game, UW–Madison will take 30 seconds to turn its eyes forward — emphasizing that the university serves not only to improve lives today, but also to move society toward a better future. The new institutional spot, titled “Reality Forward,” will premier nationally Saturday on ESPN and run during other UW sporting events throughout the academic year. 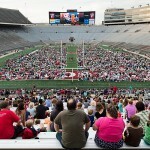 Everything was awesome – the weather, the crowd and the movie – as more than 6,000 people made themselves at home on the football field and in the stands of Camp Randall Stadium to watch a free, public screening of "The Lego Movie" on Thursday, June 26. 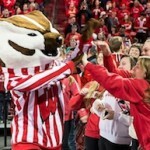 Like many University of Wisconsin–Madison students, Jordan Ebert found himself in Dallas this March, cheering on the Badgers in their Final Four matchup with the Kentucky Wildcats, adding to a list of memorable moments in his young undergraduate career. 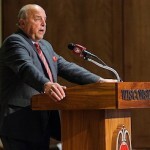 An official with UW–Madison’s athletic department presented a check worth more than $27,500 to the School of Education on Thursday night, May 8. 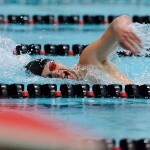 A new $26 million competition swimming pool will be included in the renovation of the Southeast Recreational Facility (SERF) on the campus of the University of Wisconsin–Madison. The UW–Madison Police Department has been working with event organizers to ensure a successful, safe event — and we have full confidence there will be no problems. However, we’d like to remind participants and spectators that carry-in restrictions are in place at Camp Randall Stadium, where the run finishes. Ahead of the April 24 one-year anniversary of the Rana Plaza factory collapse in Bangladesh, the University of Wisconsin–Madison is offering support to an international effort at improving working conditions in the country. Sleeping. That’s what Kate Roeder would usually be doing at 6 a.m. Fridays. 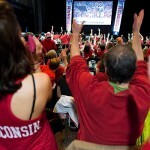 A red-clad crowd of rabid fans gave the University of Wisconsin men’s basketball team a thunderous welcome as they returned to the Kohl Center Sunday afternoon, victorious from their run through the West Region of the NCAA tournament. The same year Gina Lin was applying for college, she led her high school’s table tennis team to fourth place in a national tournament. 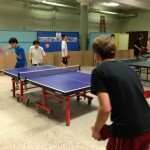 That year, the Table Tennis Club of UW–Madison won the “Rookie of the Year” award at a different national competition. Badger football player Melvin Gordon knows something about testing the laws of physics. On a football Saturday, Gordon, a star running back, can be seen squeezing through an impossibly small hole for a first down, or launching himself into the end zone with a gravity-defying leap. UW-Madison Chancellor Rebecca Blank presented the full Board with an overview of the state of the university in the first meeting hosted by the campus since she took over leadership in July.